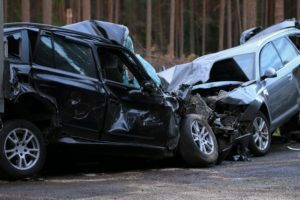 HOUSTON (March 18, 2019) – One person died and another was seriously injured in a wrong-way crash Monday morning near downtown Houston. The car accident happened around 2:00 a.m. near Interstate 10 and Interstate 45. According to authorities a man driving a white pickup truck entered the Gulf Freeway going northbound in the southbound lanes when he collided into a white Ford Mustang. The man driving the Mustang was pronounced dead on the scene. The woman passenger sustained serious injuries and was transported to a local hospital. The driver and passenger of the truck were taken to a local hospital. Houston police believe alcohol may be a factor and the driver may face possible DWI charges. Crash and DWI investigators will review all factors that may have led up to the accident. Over the weekend Houston experienced six wrong-way deaths. On Saturday, two people died in a wrong-way accident on Highway 225 in Pasadena. In northwest Harris County, on Highway 249, three people died including the driver in a wrong-way collision. Last week Houston police warned that the mix of street racing, the Houston Rodeo, Spring Break and St. Patrick’s Day could lead to an increase in car accidents.